This game is a dirty version of Apples to Apples, where each round, one player acts as the judge who is given a category (e.g. Things I think about in the shower) and the other players all have to select the card from their hand they think will most appeal to the judge (e.g. cats in diapers, Newt Gingrich, etc.). If you want a family friendly version of the game, get Apples to Apples. If you have as sick a sense of humor as I do, get Cards Against Humanity. Codenames was the breakout hit of Gencon this year. The game is played in teams, with one person on each team selected as a cluegiver. A grid of ordinary words is placed on the center of the table, with only the two clue givers knowing which words represent spies of each team. The clue giver may only say one word and one number in an effort to get their team to guess as many of their teams spies without revealing the assassin, which causes an instantaneous loss if revealed. 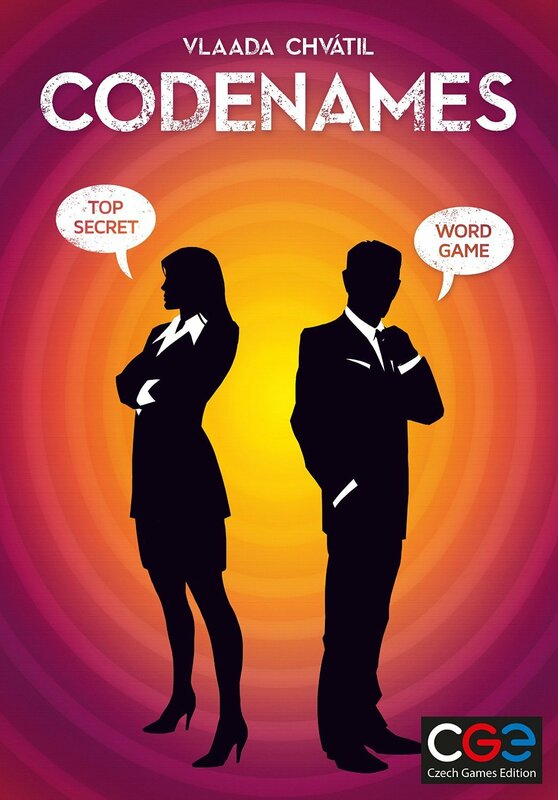 This game requires clever use of categories and clues, and is a lot of fun for a moderately sophisticated crowd (some people may be intimidated by giving clues, but bad clues make for the funniest situations). 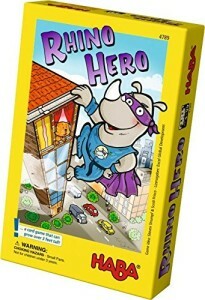 This game was another big hit for us from Gencon. Its basically jenga with cards and a small wooden rhino that occasionally climbs the precarious tower of cards. This game is more fun than it has any right to be and can be played by anyone. This game was recommended to me as similar to Bad Beets. 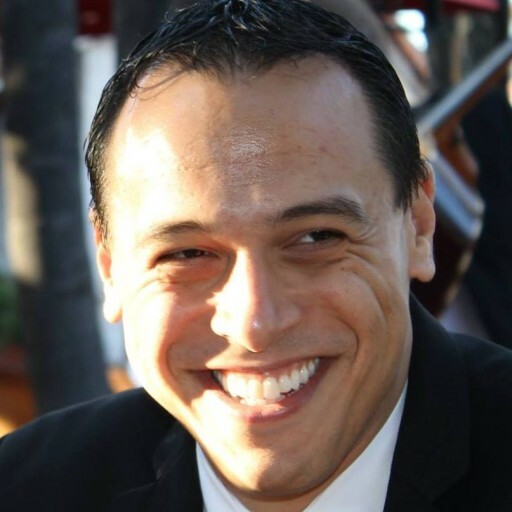 The premise is that players must build a party of 6 heroes. 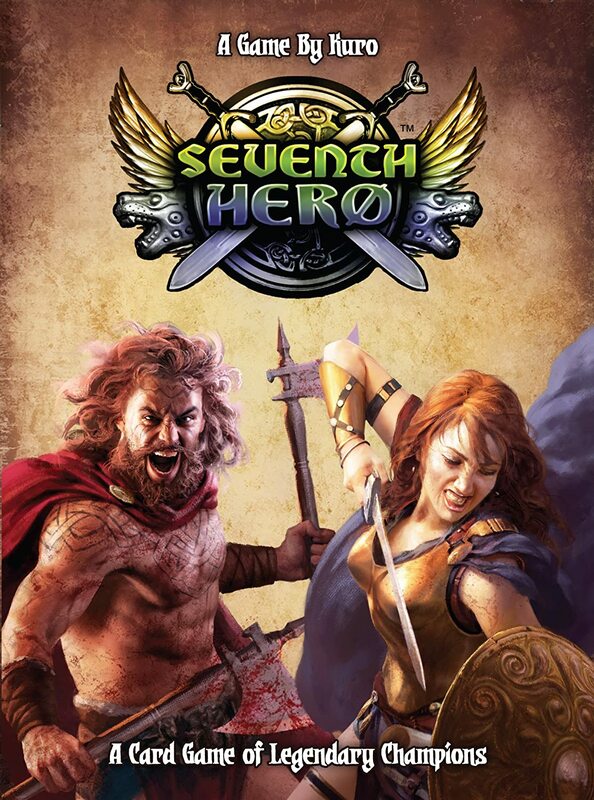 The challenge is that there are only 7 different numbered heroes and you can only have one copy of each number in your party. If you pick up a duplicate hero, both get destroyed (since one of them was obviously an evil doppleganger). Players alternate passing heroes face down around the table based on certain conditions (e.g. must be an odd number, must be 5 or above, etc.) and can use hero powers to try and manipulate the choice further. Fun and fast with some deception and deduction thrown in. If you like Bad Beets there is a good chance you will like this. Each turn players draft roles that are then revealed in order. Each role has its own unique powers, but if your selection is too obvious then you will get punished by a clever assassin or thief role. 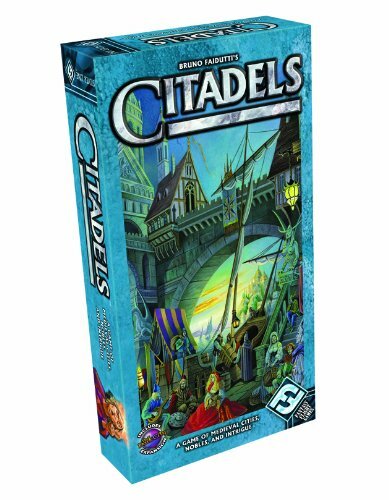 The actual play of the game itself is somewhat dull (spend gold to build buildings worth points equal to their cost), but the role drafting each turn is deviously deep as you try to out-think your opponents and makes the game a ton of fun overall. One of the best draft mechanic games out there. This is my favorite Eurogame and has been for years. Players take on the role of Grandes (Lords, basically) who are trying to gain influence over the King and thus become more awesome. Each round, new action cards are revealed and players bid to determine the drafting order. The challenge is that the higher you bid, the less caballeros (tokens) you get to deploy to the board. After every 3 rounds, each territory is scored. Victory points are awarded based on who has the most caballeros in each territory (with a bonus for the territory containing the king). 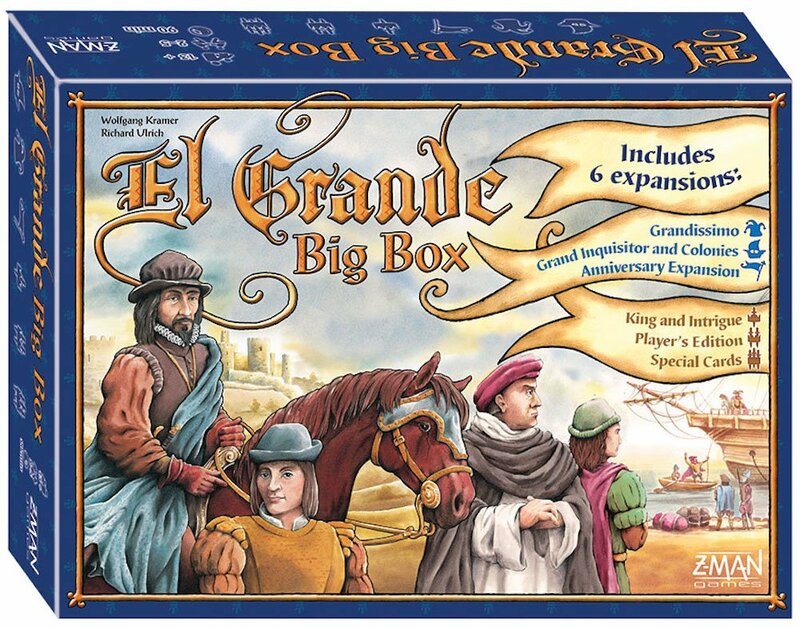 Sadly, the game is out of print, so it is hard to find a reasonably priced copy, but if you have a serious boardgamer in your gift list, try and find them this game. 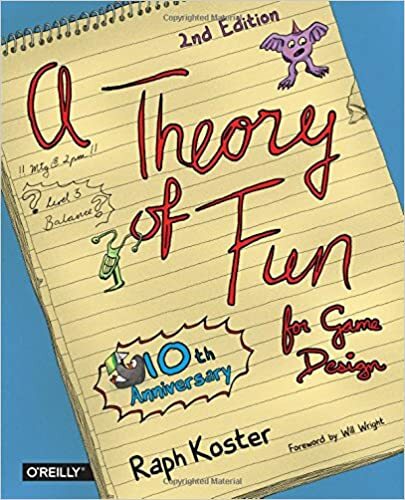 This is one of the most accessible books on game design on the market. Despite the fact that it is easy to read (with pictures to boot), there is great depth and insight here. If you want to read about Game Design, this is the place to start. For more in-depth analysis and a scholarly perspective, you can try these but definitely start with A Theory of Fun first. Back when I got my first job as a game developer, I didn’t consider myself to be a “creative person.” This book changed that. First recommended to me by eminent designer Mark Rosewater, this book is a treasure trove of strategies and tactics to be more creative. No matter what problems you face in life, creative solutions are critical and this book can help you get there. The best productivity book I’ve ever read. While some of the recommendations are a little dated (e.g. Hanging folder organization strategy), the basic strategy for organizing your life outlined in this book is the one I use everyday to get more done with less stress. This book is a classic for a reason. The title sounds cheesy but the material is great. Fundamental principles for how to get along with other humans. Everything is easy to understand but the key is to put the principles into consistent practice. I reread this every few years. 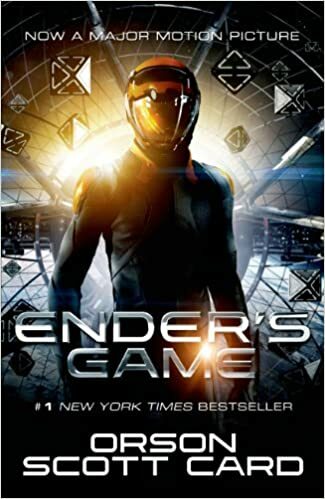 The book begins with the protagonist’s death, at which point he wakes up in his college dorm room with all his previous life’s memories intact. How would you relive your life if you could? What if it happened again? Think Groundhog Day but for an entire lifetime. A great, fast read that still has profound implications on how to live a good life. This is the classic gamer’s fantasy with serious social commentary hidden in the background. A small genius boy must rise up and face challenges in battle school to defend the earth from alien invaders. There is more depth hidden behind this premise, however, and the entire series is worth a read. I absolutely love my Sonos Speakers. They have great quality sound and allow you coordinate music in every room in the house from your phone, computer, or tablet. They are very modular and easy to move / modify as your needs change. You can also use almost any major streaming service or radio station or just play your own music from anywhere in the house. I started with the Sonos 1 two years ago and have added a playbar and a additional Sonos 1 to my collection since. Nothing beats Bose headphones for travel. I’ve been using Bose Headphones for over a decade and have loved them the entire time. I use these religiously when I fly and they do a wonderful job of blocking out external noise while providing great quality sound. Bose also has amazing customer service and will replace/repair your product with little to no hassle. I’ve successfully gotten replacements and cheap upgrades even years after my initial Bose purchase.